REPORT FROM THE ACLU – HONOLULU – The Medical Cannabis Coalition of Hawai‘i (“MCCHI”) (and allies) welcomes the enactment of Act 60, which, as of Nov. 1, voids provisions in Hawai‘i rental agreements that previously would have allowed eviction of a tenant based on their status as a registered patient with Hawaiiʻs medical marijuana program. The Drug Policy Action Group, founded in 2004, is a sister organization to the 20 year old Drug Policy Forum of Hawai‘i. Its mission is to advocate for effective, non-punitive drug policies that minimize economic, social and human costs and to encourage pragmatic approaches based on science and concern for human dignity. 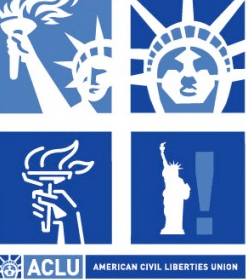 The American Civil Liberties Union of Hawai‘i has been the state’s guardian of liberty since 1965, working daily in the courts, legislatures and communities to defend and preserve the individual rights and liberties equally guaranteed to all by the Constitutions and laws of the United States and Hawai‘i. Too much thanks to you expected for this sort of captivating post the accompanying . When i seemed to be searching for , for example , which relating to numerous years and at this point I've observed that in this article . Love it. I also think your contributors helped with a lot of the editing. Keep me smiling.